The Cheerleaders have been active in their community this season: 1. The PBIS committee at the building had arranged for all students K-5 to trace their hand in a different color of the rainbow and then were planning on making it into the rainbow. JV cheer helped to assemble the rainbow and helped with hanging it. 2. Camp Good Days is near and dear to our Gananda Community. The father of one of our school nurses, Kim Roach, actually started Camp Good Days for her sister when she was sick as a child. 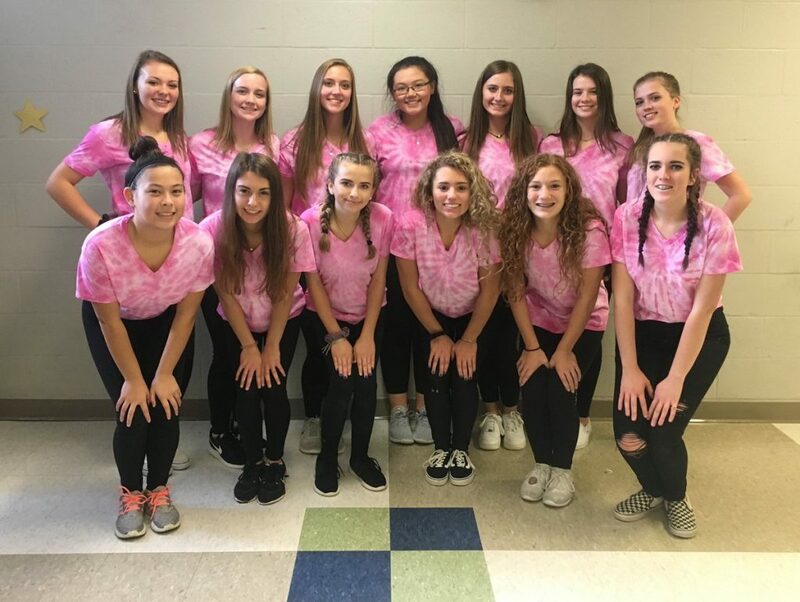 I know that cheer has participated in Kazoo Fest (which raises money for Camp Good Days) for at least the past 4 years that I have coached and I know they did it prior to that as well. 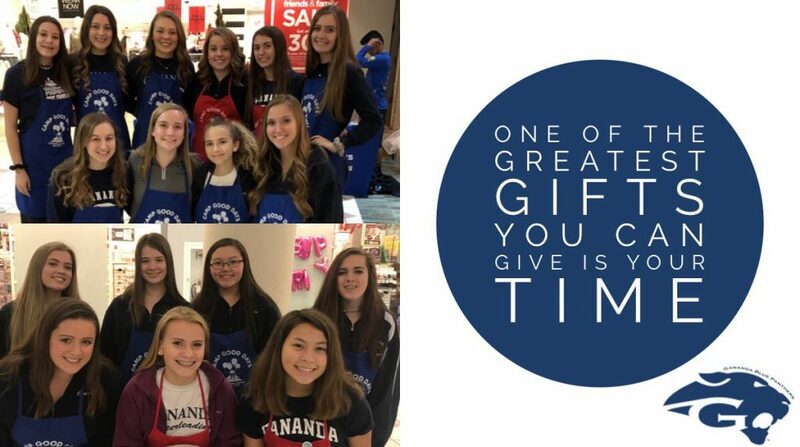 The girls took shifts working the area outside of JCPenney in Eastview Mall on Saturday, 12/1. 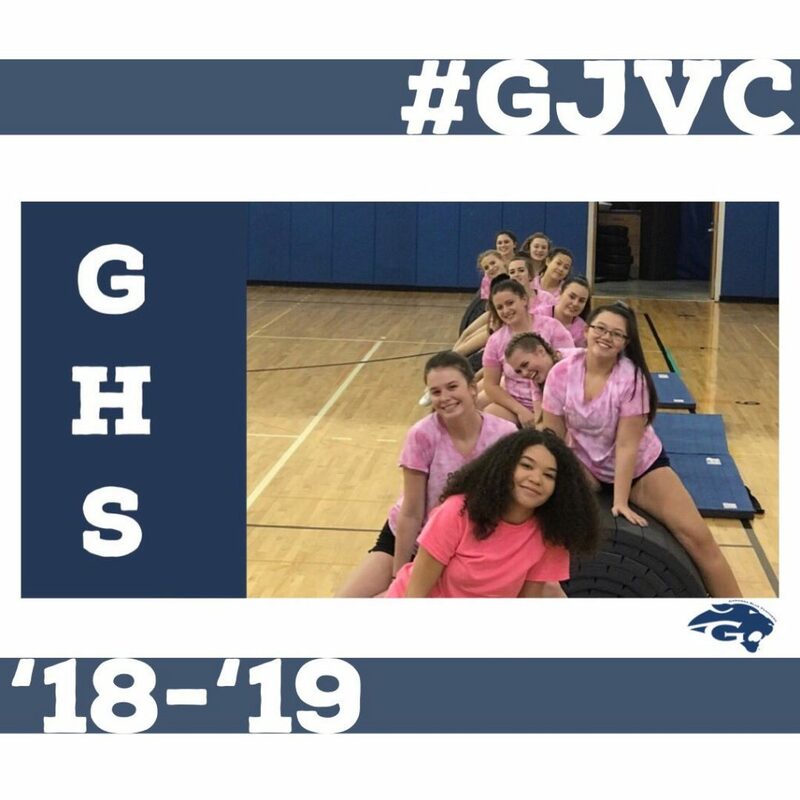 JV volunteered from 5-6 and then varsity came from 6-7. We did a mall scavenger hunt afterwards as a team building activity. Mia Hill, who is in 10th grade and on JV, really went above and beyond and collected a good chunk of money that day during her hour shift. 3. 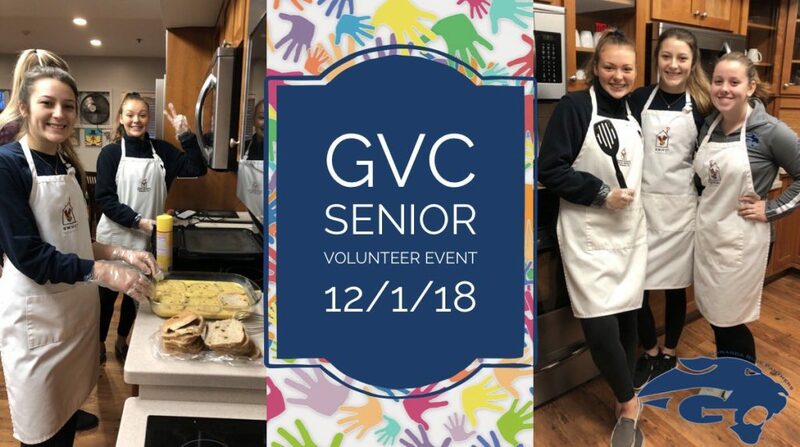 The varsity coach, Jenn Pero, the assistant varsity coach, Alexa Crescent, our 3 seniors and their mothers, went to the Ronald McDonald house in Rochester, to cook breakfast for the families that are currently staying at the house. This was a new event that Jenn had the girls participate in and everything that they said to me showed what a positive, fulfilling service project it was. Jenn has mentioned that she would like to make this an annual tradition for the seniors.